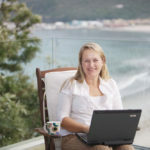 When searching for Lodges in Swaziland I noticed that many people search for Swasiland which is the incorrect spelling of this mountain kingdom in Southern Africa. Swaziland is about the same size as Belgium with around 1.5 million inhabitants. The first question you may ask is: ‘Where IS Swaziland’? It borders with South Africa and Mozambique and is not (yet) very well known.See below for the Swaziland map. Swaziland is an absolute monarch and if you google the king of Swaziland, I’m quite sure you will encounter all kinds of interesting facts. The people speak Swazi and most people live in rural areas. Mbabane is the capital. The government offices are based in the Ezulwini Valley and Manzini is an important economic hub. You can book flights from Johannesburg to Mbabane with Swaziland Airlink or just rent a car and it will take you about 5 hours to get to the border. 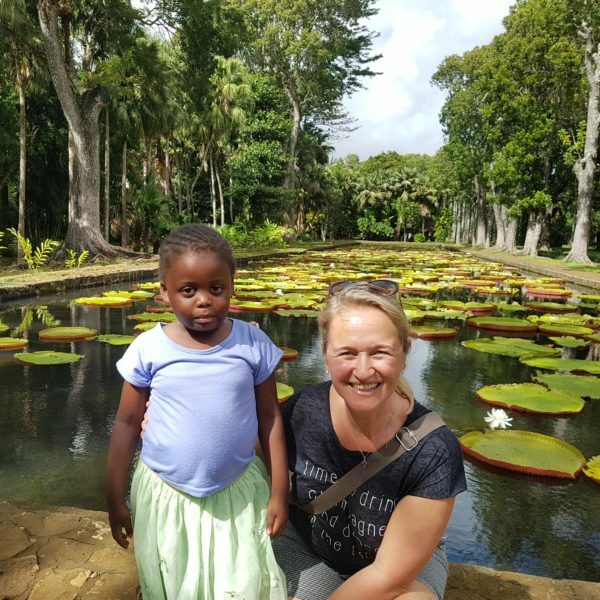 There are LOT of things to do in Swaziland and, lucky me, I visited quite a few times and always enjoyed and learned something new. 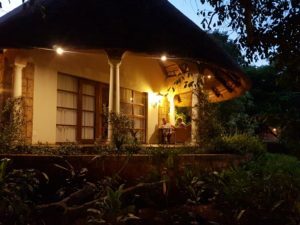 Staying in special lodges in Swaziland is possibly the most beautiful way to experience the country so below you will find a list of the places I would recommend. 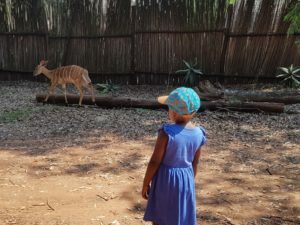 First of all I would recommend to stay in the 3 Swaziland Game Reserves managed by Biggameparks: Mkhaya Game Reserve, Mlilwane Wildlife Sanctuary and Hlane Royal National Park. 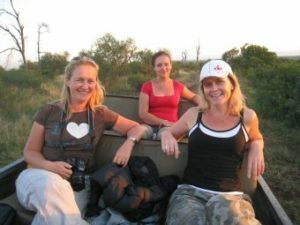 In Mkhaya Game Reserve, I had one of my most treasured experiences for staying in lodges in Swaziland. We stayed in an open stone cottages which meant that there were no windows and we were in direct contact with nature. Waking up and the first sight is a beautiful Nyala is really what life is all about. Dinners enjoyed around the fire while listening to the wildlife, it is truly magic. 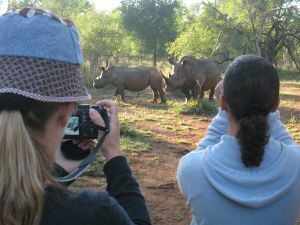 Mkhaya Game Reserve offers this unique African wildlife experience. We went rhino tracking in the morning. This is the only Swaziland game reserve with Black Rhino, Sable Antelope and Buffalo. All wildlife experiences are either done on foot or in an open Landrover. We had some amazing sightings under the guidance of very knowledgeable guides. Mkhaya doesn’t allow for small children. The minimum age is 10 so I will still need to wait a few years before I can take Rosie there. 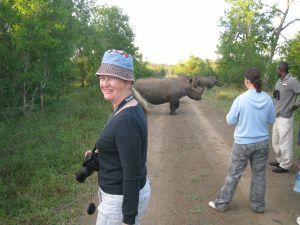 Another Swaziland Game Reserve that I stayed at many times is Mlilwane Wildlife Sanctuary. 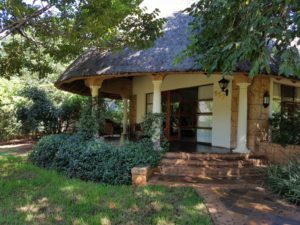 This beautiful reserve offers a wide range of Swaziland accommodation: from basic camping, backpackers and self-catering rondavels to beautifully appointed, traditional huts with their private bathroom. 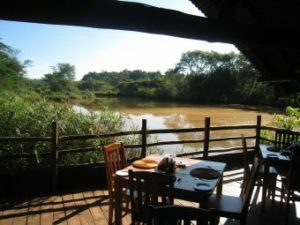 Mlilwane is the perfect reserve to take the entire family as it has no dangerous animals except for the crocodiles . 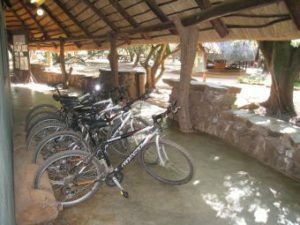 It is possible to go on self-guided walks or mountain bike trails, sundowner drives and much more. 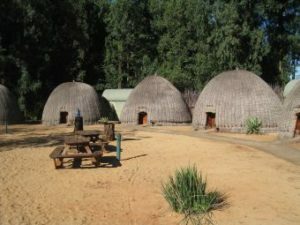 I would always recommend to stay in the traditional huts as this is really unique Swaziland accommodation. There’s large swimming pool which is always a big success with all the kids. A separate lodge within this Swaziland Game reserve is Reilly’s rock where the owner used to live. There are only 6 rooms so it is quite an intimate experience with dinners enjoyed together around the fire in the Boma. This is a child free zone so not so perfect for my little family yet. It really does give you that ‘Out of Africa’ feeling. 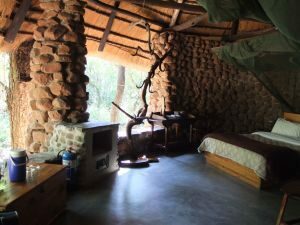 Hlane Royal National Park is the most affordable safari accommodation of the Swaziland Game Reserves and is interesting for those who would like to do a self drive safari which is partly allowed. Hlane is the siSwati name for ‘wilderness’. Hlane boasts the largest herd of game in the Kingdom of Swaziland including lion, elephant, vultures and marabou stork. Day visitors are welcome to self drive, picnic, eat at the restaurant and take part in the activities on offer. It is an easy stop over if you’re coming from crocodile bridge gate from the Kruger National park. 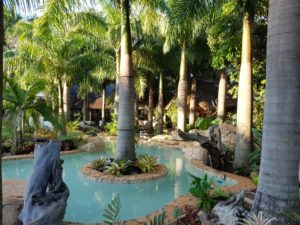 Last year while we were on a family trip in Swaziland, we stayed in a hotel that I’d never stayed in before but it always sounded a bit like paradise: Summerfield Botanical Garden Resort. Since it was the 50th anniversary of my parents, I thought we could splash a bit and stay at this luxurious Swaziland resort. Swaziland also boasts regular hotels like the Lugogo Sun and the Royal Swazi Sun but I always prefer hotels that are not part of a chain when I book my family travel. Just to get a different type of experience but if you are in need of a business hotel in Swaziland, there are also plenty of option. However, we stayed at Summerfield and it really was kind of out of this world. 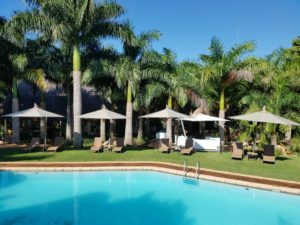 The rooms were so big and the gardens were so lush, the service impeccable and the pool gorgeous, we REALLY didn’t want to leave after 2 days of this Swazi hospitality and luxury. No wonder this resort was rated #1 Luxury Hotel in the Kingdom of Swaziland. Since one picture says more than a 1000 words I will just rather show you some pictures that we took. It was magnificent. If you’re looking for a relaxed holiday in Swaziland, this is it. It is located close to ‘House on Fire’ and the Ezulwini Valley which offers plenty of things to do in Swaziland. Mantenga Lodge is one of the more authentic lodges in Swaziland which I can also recommend. It is located in the Ezulwini Valley which is where most of the action is. There are 38 individual chalet style rooms with charming decoration. Dinners can be enjoyed al fresco overlooking the Mantenga Nature Reserve. 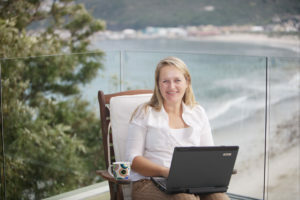 I haven’t stayed here myself but whenever I booked clients here, they were always very happy with the location, hospitality and the lovely rooms. Other lodges that I can recommend are Maguga Lodge, Phophonyane Lodge and Hawane Resort. All of these will give you a true Swazi experience and are not ‘just another hotel’ which is for me a no-go when designing itineraries for my guests. 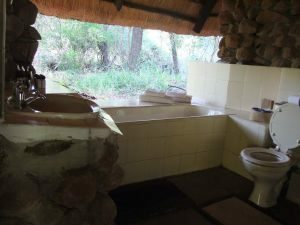 As you can see there are quite a few nice accommodation options in Swaziland so don’t skip this beautiful part of the world. This entry was posted in Accommodation and tagged Swaziland.